Rent a cruiser or road bike and ride Grand Canyon’s beautiful rim side bike trails away from the crowds! Our Grand Canyon Tours are 3 hours long and offer stunning views, knowledgable guides and comfy bikes! Locally roasted coffee and freshly made grab & go sandwiches and salads. Pick up your picnic lunch! We carry a limited supply of hiking gear and batteries and SD cards for cameras! Bike Rentals Are Open In Winter! Tour & shuttle services are closed for the winter beginning November 1 2018 – March 3rd 2019. Bike rentals are available daily through winter from 10am – 4 pm weather permitting. The Cafe and gift shop is open! Normal bike hours resume on March 4th. *2019 Spring/Summer/Fall bike rental and tour reservations are now open! 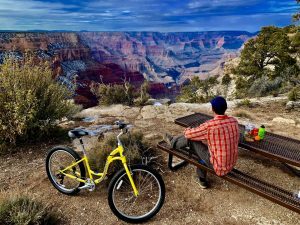 * We are a Grand Canyon bike tour and rental company, offering bikes to cruise the awesome rim trails of South Rim, Grand Canyon. 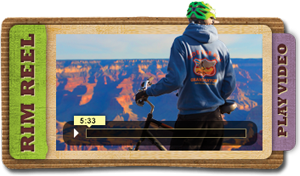 Along with our Grand Canyon tours, we provide quality bikes for rent and we equip you with all the safety equipment and maps required to help you have a memorable, enjoyable Grand Canyon experience. The park boasts dozens of scenic outlooks which can never all be taken in by car as there is simply not enough parking for most people to stop. Take in the Grand Canyon at a slower more enjoyable pace right along the edge as you “Ride the Rim”! 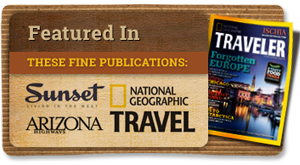 A Top Rated Grand Canyon Tour on TripAdvisor! We know that everyone makes this claim – but ours is backed up by over 850 five star customer reviews on TripAdvisor. 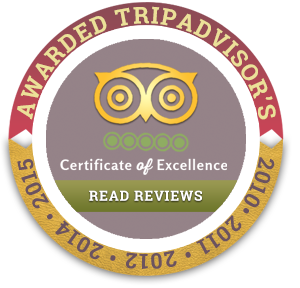 People regularly review our tours as the “Best Way to See Grand Canyon”, or the “Highlight of Their Trip”. No matter your age or fitness level, we feel like riding a bike along Grand Canyon is the way to go. Check out our trip advisor reviews if you need convincing or see a detailed comparison of the 5 top ways to see the Grand Canyon here! Our Grand Canyon coffee shop is adjoined to the bike rental shop. We are conveniently located at the Grand Canyon visitor center. We serve locally roasted coffee beans, fresh and delicious sandwiches and salads, and a variety of snacks and ice creams ready to eat at one of the nearby rim-side spots, the world’s most epic picnic locations! If you’re looking for a Grand Canyon Restaurant, skip the crowded cafeterias and pick up a picnic to enjoy at some of the greatest spots on earth for lunch! Our story is unique inside our National Park. Our owner’s roots run deep at Grand Canyon and our story is inspiring for any person wanting to break through barriers of business to achieve their dream. Watch the video about our business and inception.